A New York man is facing possible prison time for killing federally protected hawks at his mother's home in Connecticut, saying the hawks were killing his racing pigeons. Thomas Kapusta, of Westbury on Long Island, is scheduled to be sentenced Monday in federal court in Hartford. 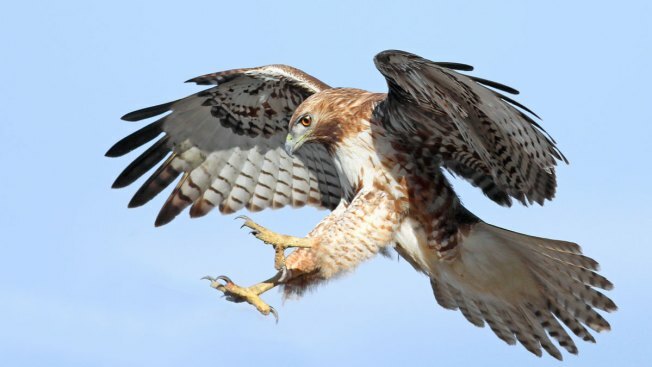 He pleaded guilty in February to five misdemeanors including capturing and killing red-tailed hawks and Cooper's hawks. The five misdemeanors carry up to three years in prison and a $75,000 fine. Federal prosecutors are seeking some prison time and a large fine. Kapusta is asking for a sentence with no prison time. Prosecutors say Kapusta and another man who pleaded guilty killed 11 hawks from December 2014 to late 2015 in Kapusta's mother's backyard in Stamford, where Kapusta kept about 100 racing pigeons.